We believe that the most effective way to reach communities with the gospel is to empower local believers and churches to reach their own neighbors for Christ. Sometimes, that means backing ministries of compassion that are launched out of local churches when devastation hits. 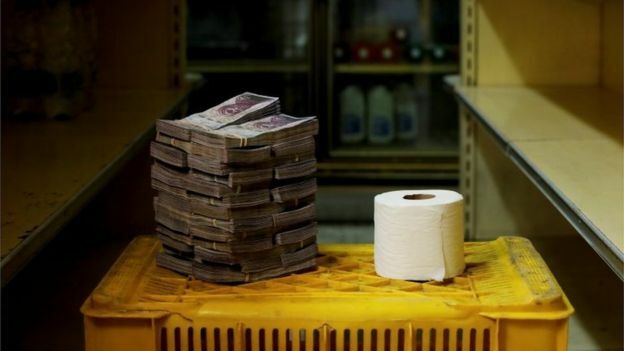 Venezuela was once the most affluent country in South America, but a cascade of economic dominoes has plunged the country into a depression and unchecked inflation, making it impossible for people to buy necessities like food and toiletries. Through the Alpha Relief initiative Global Advance is partnering with the local outreach efforts of two local churches in Venezuela. They have mobilized their congregations to help feed and care for the most needy in their communities, all in the name of the gospel of Christ. Malnutrition and preventable disease have started to increase, especially among children, so they also provide checkups and basic medical care. As with any national economic crisis affecting people from every walk of life, the local church is just as heavily impacted as the rest of the country. But, they are obeying the words of Jesus, caring for those in need around them and doing what they can to bring hope. We can help them go farther! With your support we'll expand the reach of these churches to share Christ's compassion with their communities. Will you join us?